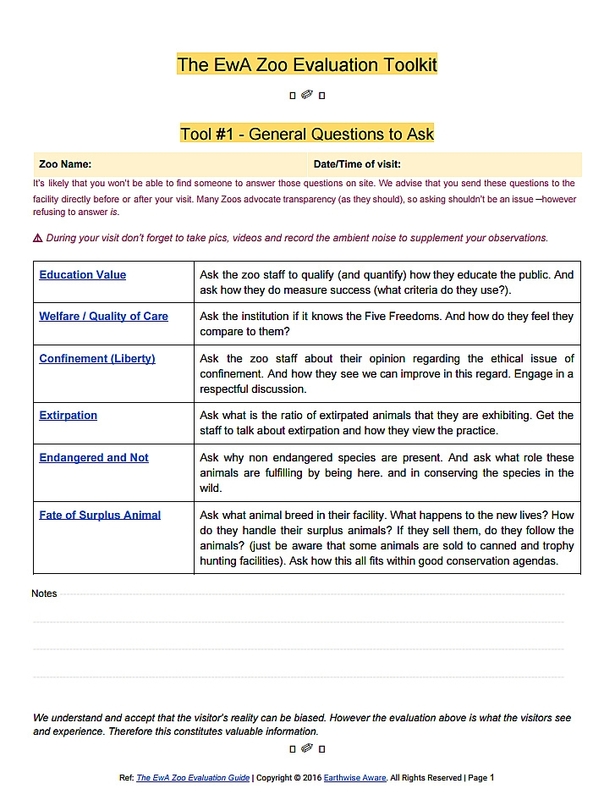 To facilitate a animal/patient-centered visit, we provide an evaluation toolkit. 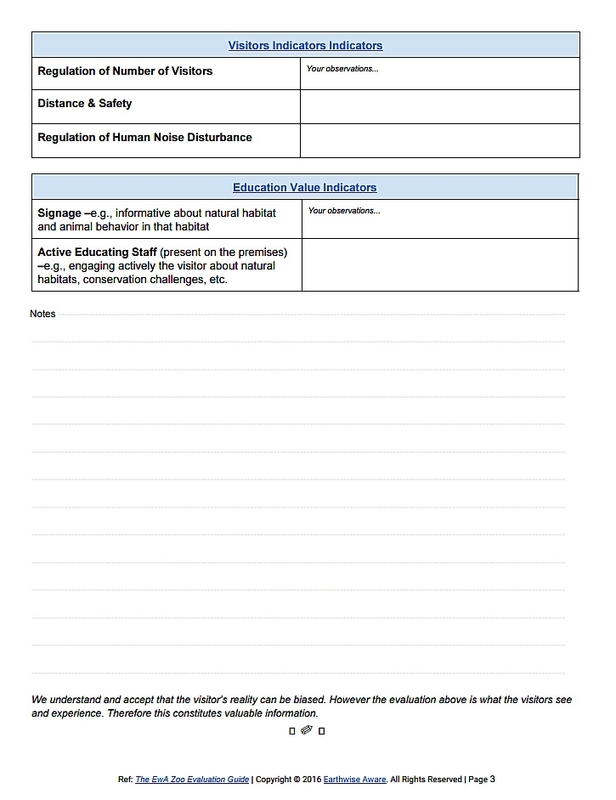 It contains quick reference guides and worksheets for taking notes about the welfare conditions of facilities which host and exhibit captive animals. 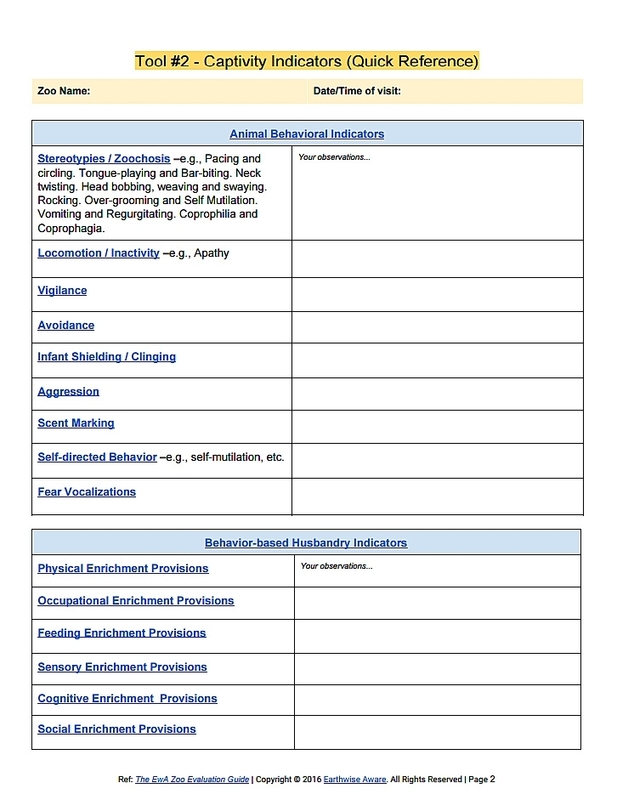 Note that for evaluating as objectively as possible, it is important to first get familiar with the Five Freedoms as well as the Captivity Standards Indicators prior to the visit.